Every month, there is a portal opening and the UNIVERSE offers us an opportunity, the few days just before the NEW MOON… this is the time of the DARK MOON. During this portal we have the opportunity to purify our being… our minds… our emotions, our heart and our soul…. letting go and releasing the veils that stand between you and Divine UNION. Every month, the Dark MOON offers us a time of death and rebirth, known to ancient cultures as a time to dive deeply into divinatory levels of consciousness and let ourselves be completely dissolved by the Divine. This is time of our LUNA ACTIVATION. For women, this time of the moon has been associated with our menstrual cycle…. a time of clearing and dissolving into oneness… both spiritually and physically. In ancient cultures most women that lived in community, bled on the days of the Dark MOON, moving through levels of healing and exalted consciousness at the same time and together. 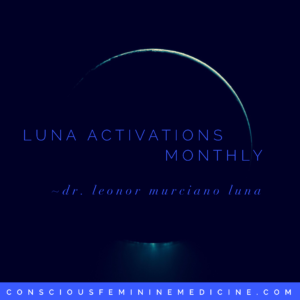 In a culture that is devoid of our greatest connection and synchronicity with the cycles of life, the LUNA ACTIVATIONS allows our bodies to reset and a recalibrate with the natural lunar cycles, in connection with the Feminine Matrix of Nature. 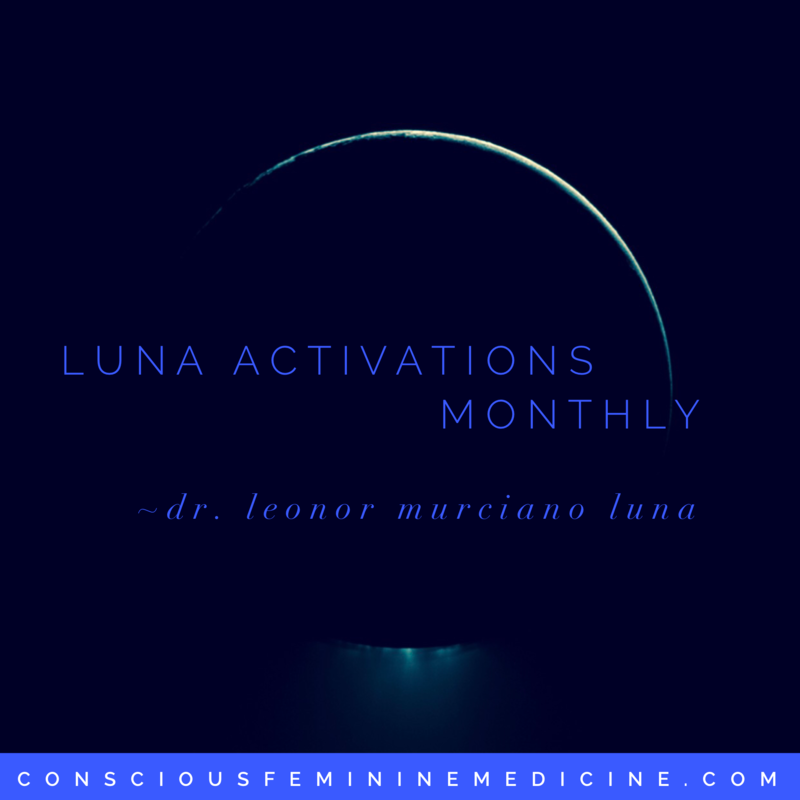 Every month… we create sacred space and invite Divine ONENESS on the evening of the Dark MOON… for our LUNA ACTIVATION and offer our bodies, intellect, hearts, souls & spirit to be purified… opening up to the UNIVERSAL QUALITIES of the DIVINE as something is BORN within each of us! We do this using the ancient sacred prayers of the SUFI mystical tradition, as taught by our guide Sidi, Al Jamal, peace and blessing be upon him as well as the WU Healers Lineage of the MOON. 07.11.2018, 08.09.2018, 09.08.2018, 10.07.2018, 11.05.2018, 12.06.2018. 2018 promises to be a great year… its an 11 year… bringing it with it the vibrations of the Christ consciousness, waiting to come into creation through us. Coming together every month in honoring, allowing and awakening, these powerful energies have an opportunity to manifest through us… as we become the vessel through which they are birthed on Earth. Lets join forces in 2018! You can register for one month or for the whole year now… your choice! If you are a WOMAN, ready to heal your BODY~HEART~SOUL... lets explore your options. Book a 30 minute Feminine Break thru consultation w/ Dr. Murciano to discuss your specific situation and explore your options, FREE. Get Started Now! Call us 954.450.4548 or book directly BELOW.